At Regional Arts Victoria we receive a lot of enquires from individuals and organisations who’d like to work in partnership on a regional arts project or initiative. If this sounds like you, we’ve put together this list of FAQs for you to consider before contacting us. What does Regional Arts Victoria do? Regional Arts Victoria inspires art across the state. Here’s our vision and how we articulate that into programs that stimulate Creative Communities, Creative Places and Creative Catalysts. What’s Regional Arts Victoria’s relationship with government? We’re an independent arts organisation that’s been around for many years – we turn 50 in 2019! – and across that time, we’ve been in a range of specialised partnerships with every level of government across the state and across the country. It’s important to note that we are not a government body, and we do not have access to discretionary government funds. Here’s more about our role in managing the Regional Arts Fund. Can you tour my show? Can you fund my regional arts project? The Australian Government Regional Arts Fund supports work by and for regional artists and regional communities. Regional Arts Victoria delivers this funding program on behalf of the Australian Government. There are two rounds per year. Please take a good look at the grant programs, eligibility and selection criteria. It’s important to note that we do not have access to discretionary funds for project ideas that come our way. We only fund regional arts projects and professional development activities via competitive application in delivering the Regional Arts Fund within Victoria. Can your regional staff lead, promote, distribute or be a contact point for my project? Our regionally-based Creative Arts Facilitators have demanding and engaging full-time roles supporting the development of creative practice in their regions. They are a great resource for finding out more about the local community they work in, and can often point you to local contacts if you are looking to work in a particular region. Our regional staff are not available to be the regional marketing agents or delivery points for your project, however. So, can we partner on my regional project? ‘Regional Victoria’ is not a single community; there are thousands of towns across the state with just as many different artistic and community needs. Before approaching us with a partnership proposal, please take a good look around our website to understand the scope of our work. Please also consider in detail the artistic intent, regional scope and local benefits for a specific community of what you are proposing. We are not a government body, and do not have access to government funds or other government departments. It’s also important to note that we have many great ideas proposed to us every year and can’t respond to them all – but we may be able to point you to someone who can! Take a good look around our website for all of our current projects, tours and upcoming events. 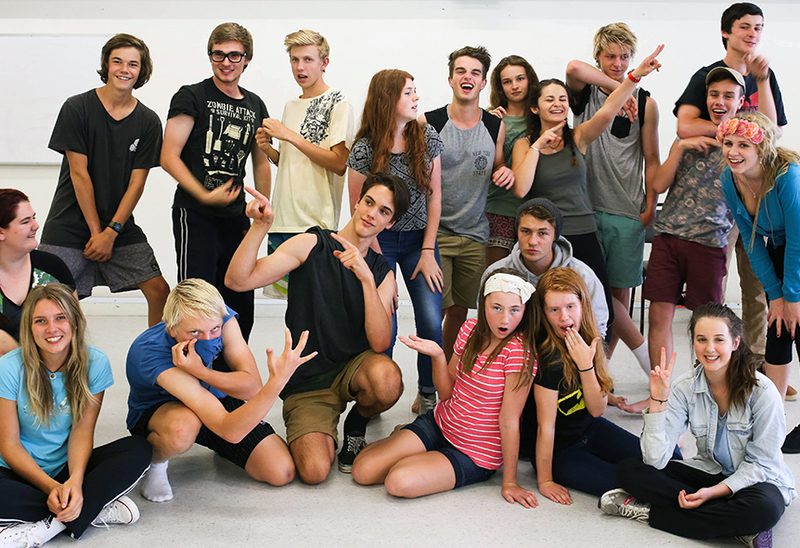 Image: Theatrecraft Youth Unlimited's Summer Performance Project 2015. The 2016 project is supported by the Regional Arts Fund.